Rolfe Kent has the distinction of attracting and sustaining relationships with directors as popular and diverse as Alexander Payne (The Descendants, Sideways, About Schmidt, Citizen Ruth, Election), Mark Waters (Mean Girls, Just Like Heaven, Freaky Friday, Ghosts of Girlfriends Past, Mr. Popper’s Penguins), Richard Shepard (Reign Over Me, The Matador, The Hunting Party, Mexico City, Oxygen, Mercy) and Jason Reitman (Labor Day, Thank You For Smoking, Up in the Air). Kent was honored at the 2010 Vision Awards – also honored that year were Dan Rather, Steve Jobs, and Buzz Aldrin. In 2012 Kent was awarded BMI’s Richard Kirk Award for outstanding achievement in film and television music. GAMBIT will be available on DVD and Video on Demand on May 27, 2014. 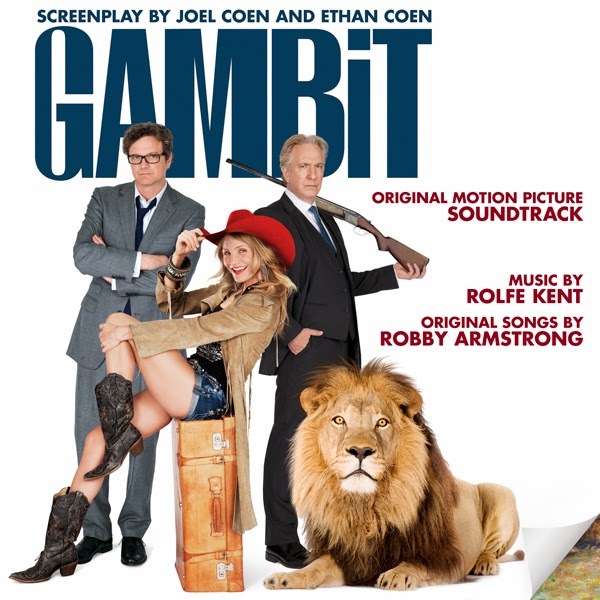 GAMBIT – Original Motion Picture Soundtrack from Lakeshore Records will be available digitally and as a disc-on-demand on May 13, 2014.